We have the opportunity to squeeze 240 boxes of diapers and wipes in to a 20ft container in Canada that is coming to us filled with donated educational supplies. We don’t want to ship the container with any empty space so we have actively been asking our Canadian friends to shop at Amazon in Canada http://bit.ly/2017diaperdrivecanada and buy diapers and wipes to fill the container. We have received 90 of the 240 boxes that we desire. We needed a place for those diapers to be shipped and a dear friend agreed to have them shipped to her school, but they could only be there for a week due to limited space. So another friend said she would be happy to borrow/rent a truck, go to the school and pick up the boxes and store them in her garage until the time of packing the container. I love my friends. I was so thrilled to see how smoothly this all happened with many people offering their assistance. I saw photos on Facebook of the diapers being loaded in to the big box truck and volunteers happy to be involved. It made my heart happy. Then there was the Facebook comment. Honestly, I was shocked. And I know I shouldn’t be because people post stupid comments on social media all the time, but really?? Why should you send diapers to orphans in Africa who don’t have parents to care for them? I am proud to be a Canadian. I love that when tragedy or natural disasters strike we have a country where family helps family, neighbors help neighbors and communities help communities. Many of us also have the opportunity to purchase insurance and then there are our Provincial and Federal governments who quickly jump in to help those in need. It may not be perfect (and yes our taxes are high), but I am proud that the system works better than most. When there is a problem, Canadians know that help is on the way. I am now living in a country where families have nothing to give other families. Babies are dumped in out door toilets to die because young mothers have no food or even a blanket to wrap them in. Children die of malnutrition and neglect, right in front of our eyes, because we just don’t have the resources to save everyone. In fact, just this week we saw an 8-month-old in our own immediate community die and we will have to bury him on Monday. (Note, this is not a baby who lives at our baby home). I am thankful that there are people who are helping my neighbors in Quebec who are in need, but to the lady who posted that comment … I hope you are actively involved in helping in Quebec, not just sitting on the sidelines taking pot shots at others trying to help orphans in need. Furthermore, stop being so nasty. For those of you who support Heart for Africa and the children of Swaziland, I say THANK YOU. 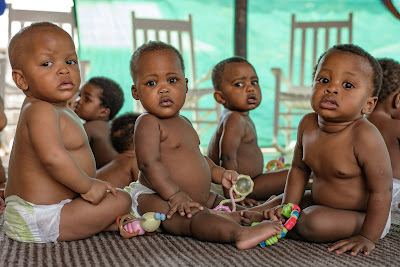 For those of you who want to buy diapers for these babies I ask you to shop today in the US at http://bit.ly/2017diaperdrive and in Canada at http://bit.ly/2017diaperdrivecanada. We are only half way to our total goal. For those of you who support other charities, ministries and organizations either financially or with your time, I THANK YOU! There are a lot of people who need a lot of help around the world. I encourage everyone reading this today to get involved SOMEWHERE. 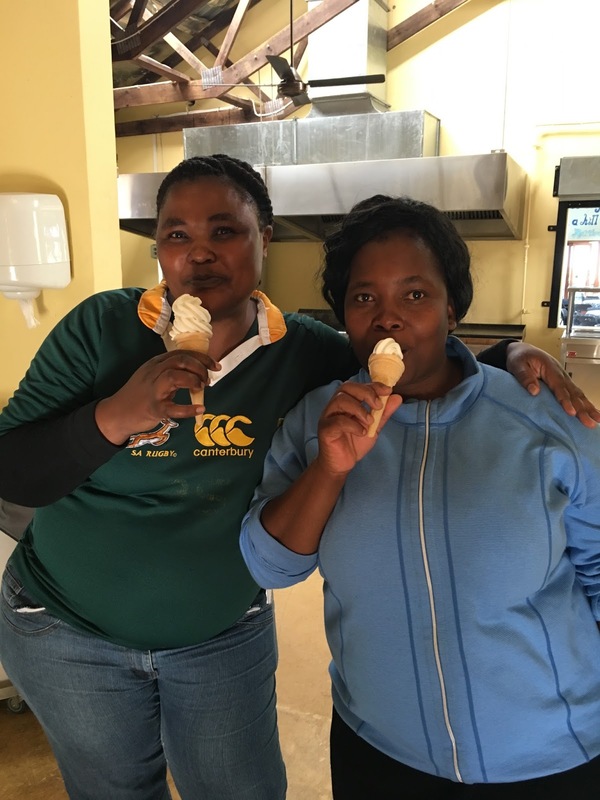 It could be in Quebec, it could be in Swaziland or it could be right in your own community. It takes a village to raise a child. Please be active in your own village and for a very small group of you, please stop being critical of people for helping in a different village. Live from Swaziland … thankful for all who can help us. Early Mother's Day photo with 76 Emseni children, 40 Toddler home children and Spencer. Two days ago I was overwhelmed by a wave of sadness. 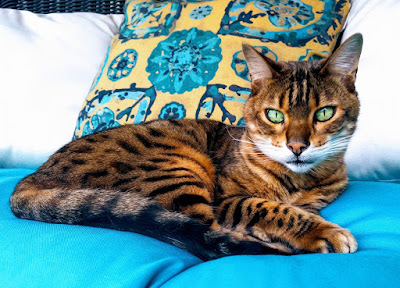 We dropped Spencer off at the Johannesburg airport (after 8 wonderful weeks with us in Swaziland) and while I only shed a few tears at that moment, I got a message before we left the airport that our sweet kitty from back in our Aurora/Alpharetta days, had died. 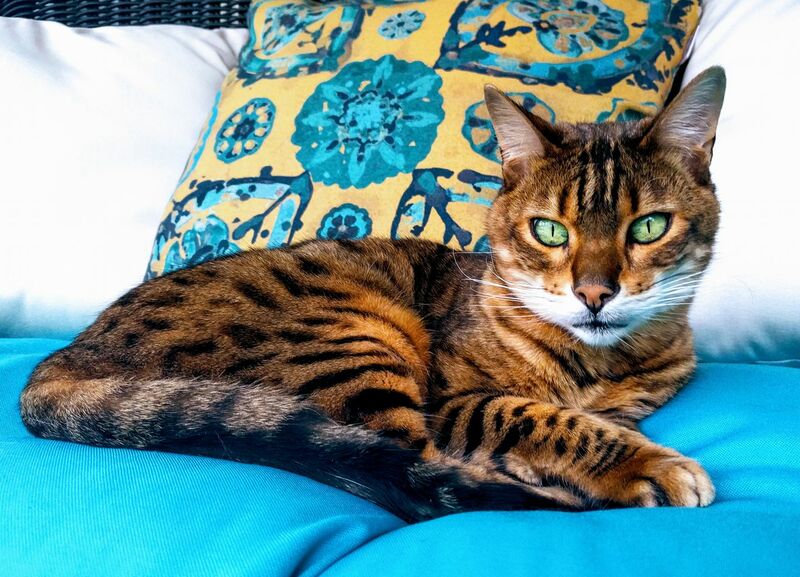 Her name was Daisy, and she was a stunningly beautiful Bengal who we have missed dearly. The tears started to flow, but then the phone rang. It was a social welfare officer asking if we had room for three small babies? There was an 8-month-old baby who had been hospitalized for malnutrition and abuse. Then there were two siblings who were being badly abused by their mentally disabled mother. The 10-week-old baby boy would be thrown on the floor when he cried and the 2-year-old girl was being abused as well. I told her we would take them all, hung up the phone, and it hit me. A wave of sadness washed over me like a tidal wave and I was completely overwhelmed by Spencer and Chloe living a million miles away, my dead cat (who hasn’t lived with me in five years) and the 157 children whose stories are horrific and haunting. I sat in the passenger seat and cried, while Ian drove us east to the ocean and the sun set behind us. 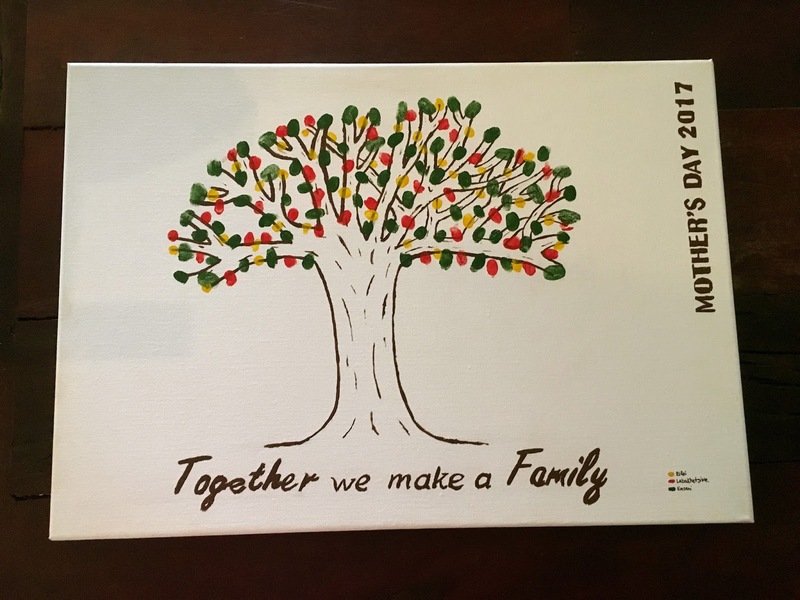 · I am thankful for my 15-year-old birth mother who gave me up for adoption in 1963. 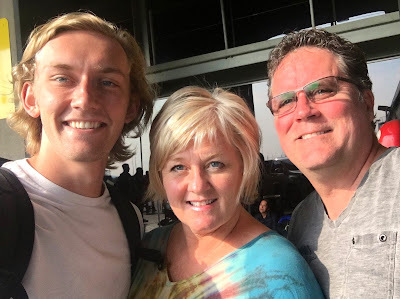 · I am thankful for my adoptive parents (Bernice and Russ Willis) who gave me every opportunity in the world and showed me how to give generously and love completely. · I am thankful for my children, Spencer and Chloe, who have made me the proudest mom in the whole world. They give generously, and love completely. 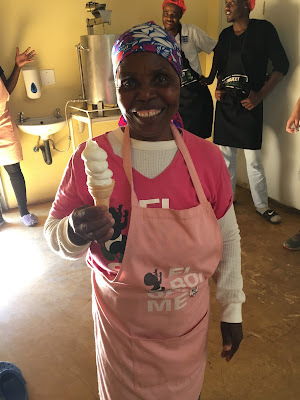 · I am thankful for (and overwhelmed by) by the 157 Swazi children who now call me Mom. Last Sunday at Children’s Church I was presented the most amazing gift by the staff and children at Project Canaan. They knew I was going to be dropping Spencer off in South Africa, and then head away for a quiet weekend in Durban, so they gave me an early Mother’s Day gift. It is a painting of tree that has each and EVERY SINGLE child and baby’s thumb print. In the bottom right corner you will see the color legend that shows which colors represent which children’s home. There are 155 little thumb prints that make up this beautiful painting. Yes, I stood in front of them all and cried, but they were not tear of sadness, rather they were tears of pure joy. I stand amazed at the mosaic of circumstances and people that the Lord has brought together to create the most beautiful picture at Project Canaan, and I am humbled to be a part of it. 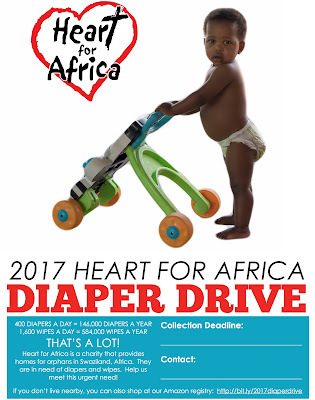 Please shop on the Heart for Africa Amazon Baby Registry today by clicking on http://bit.ly/2017diaperdrive in the US and http://bit.ly/2017diaperdrivecanada in Canada. We have a lot of babies who have been given the gift of life, and now they need the gift of diapers, wipes and a table to eat at. Please shop generously, and maybe buy your mom a gift for Mother’s Day too! I promise she will love it! Live from Durban… Happy Mother's Day. What? How can you have 155 babies and run out of wipes? We change 400+ diapers a day, and we sure don’t want to do that without wipes! YUCK! I knew Ian was in town and so I asked him if he would mind stopping at the grocery store and get some wipes. He asked how many, and I said “ALL OF THEM!”. Within a few minutes he sent me a photo of the “wipe section” at the grocery store and asked if I really wanted them all. My answer was, no, but get all the big packs. 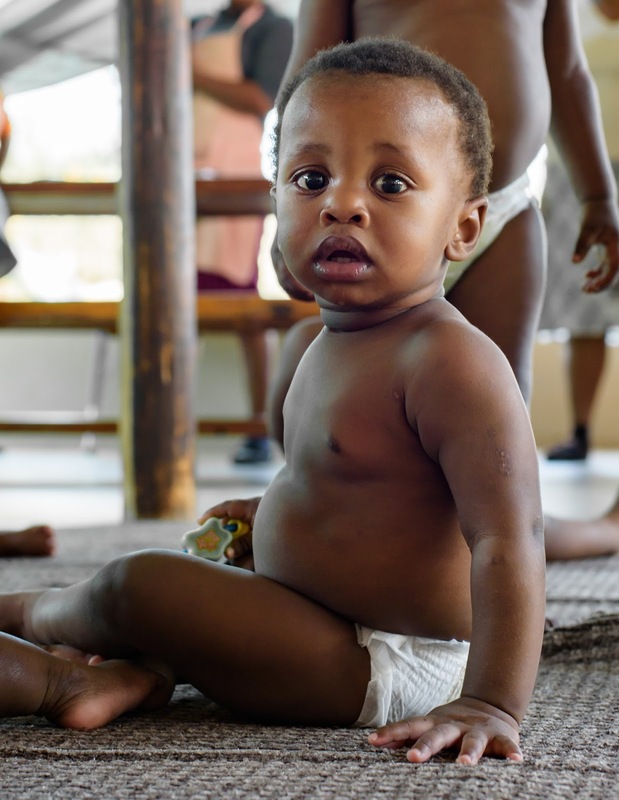 We have not had to buy diapers or wipes since August 2016 and that is because 300+ people from all over the world shopped on Amazon and purchased 165,000+ diapers and 170,000+ wipes. We still have some diapers, but the wipes are finished. We currently change 400 diapers and 1,600 wipes each and every day. That means 146,000 per year and 584,000 wipes! That’s a lot of poop! AND, those numbers do not include days that our babies have diarrhea or when we have a stomach bug whip through the house! Believe me, you really don’t want to be here then! Today we are launching our 2nd annual Diaper Drive and I am inviting you to be a part of this important project. It’s as easy as clicking on this link http://bit.ly/2017diaperdrive and shopping! The shipping address on our Amazon Wish List is a warehouse that has been donated by a friend of Heart for Africa, so your purchases will come straight to our warehouse. The UPS Foundation has very generously offered to ship a 40 ft container for FREE from Atlanta to Swaziland and it will be packed at the end of June. We hope to fill the container in the next 3-4 weeks and get it over to Swaziland. 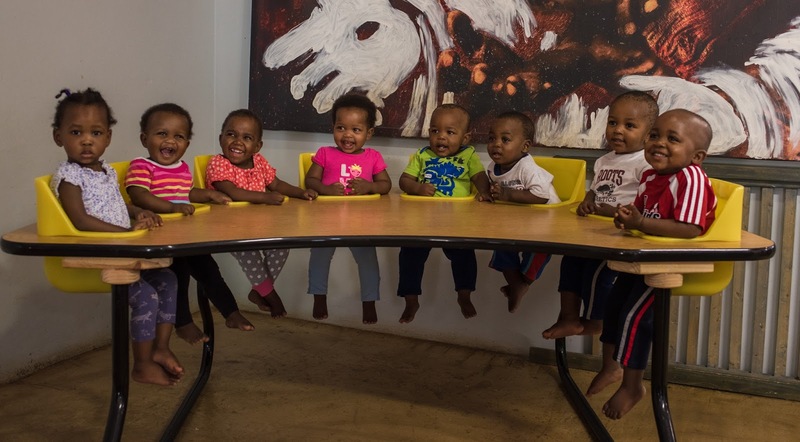 The Amazon list also have a few key items that we need and cannot buy in Swaziland, including two tables that each allows us to feed eight little ones at a time. We also are looking for a few Little Tykes playhouses, that give our kids hours of activity and “old fashioned” play each day. Will you help? Please shop today, and then if you live in the US please copy this link http://bit.ly/2017diaperdrive and post on your social media sites to invite your friends to be a part of this great need. f you would like to collect diapers in your community and bring them to us in Georgia, please contact tricia@heartforafrica.org and feel free to use this simple poster. Ian and I both shopped at http://bit.ly/2017diaperdrive before I posted this blog. I hope you will too. 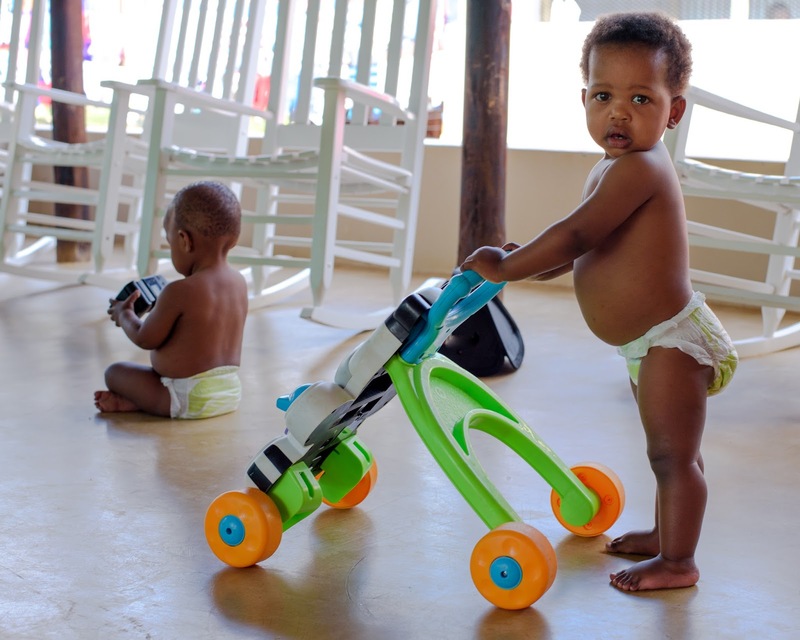 Live from Swaziland … praying for diapers and wipes!